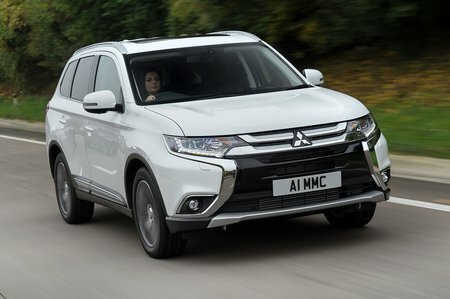 Mitsubishi Outlander Performance, Engine, Ride, Handling | What Car? 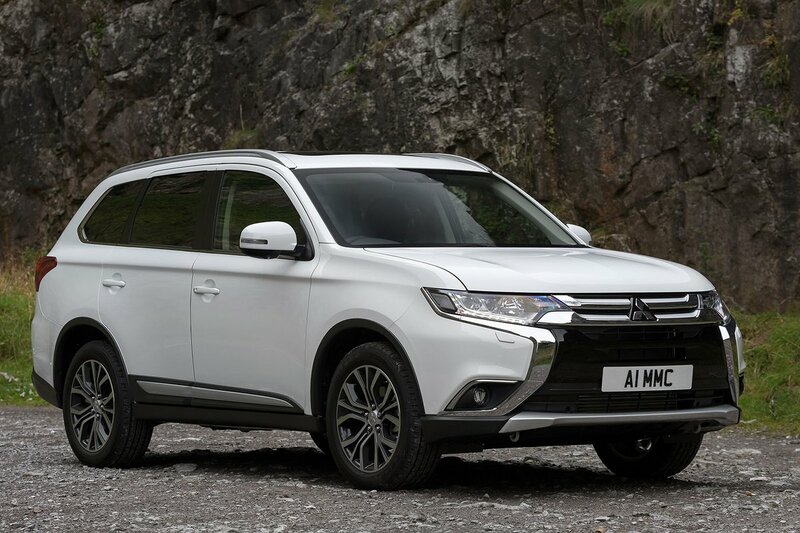 The Outlander diesel's engine isn’t what you’d call athletic, but it is keen enough at low and medium revs for driving to be a relaxed affair. A six-speed manual gearbox is standard on diesel versions, but an optional six-speed automatic is available on 3 trim level and above. The auto ’box seems to sap the engine’s pulling power, but it’s unlikely that you’ll notice it once you’re on the move. The auto-only hybrid is brisk enough around town but can feel leisurely at higher speeds, and the way the electric motors and petrol engine interact can sometimes result in an unpredictable power delivery. Of course, there’s a seamless stream of power in electric-only mode, although you’ll be lucky to manage 20 miles of pure-electric travel even in gentle use. The automatic gearbox is only available with the 2.0-litre petrol engine. We’ve yet to drive it, but it appears to be slower and thirstier than the diesel on paper. All versions of the Outlander have four-wheel drive, and never struggle to put their power down. Diesel Outlanders ride reasonably comfortably, although the Kia Sorento is better at sponging up sharp-edged bumps that can have the Outlander jolting and thumping quite a bit. Body movement isn’t especially well controlled, either, so the car can bounce around at higher speeds and it leans a fair bit in corners. With its low-mounted battery pack, the heavier hybrid model feels more stable in corners, but has a firmer ride than the diesel. Both models tend to thump loudly over potholes. Based on its lighter weight, we suspect the Outlander petrol will behave more like the diesel than the hybrid. No matter which version you go for, the steering is disconcertingly light at higher speeds. Combine this with pronounced body lean in corners and the Outlander isn’t a particularly reassuring car to drive on faster roads. Things are fine when you’re just cruising around and the car ambles along happily enough on the motorway, but press on in more challenging environs and it soon gets flustered. It’s unlikely that its unruly behaviour will get you into trouble, though, thanks to standard-fit stability and traction control. Every Outlander has four-wheel drive that’s controlled by a system that can shuffle power between the front and rear wheels as it deems necessary. Alternatively, it can be locked with a 50% split between the two axles. However; although it’ll probably be fine on slippery surfaces, it just doesn’t have the ground clearance of the Land Rover Discovery Sport to enable more serious off-road excursions. The diesel engine and its turbocharger are a little noisy. You don’t feel much vibration through the controls, although in the automatic version you feel a slight shimmy through the body. 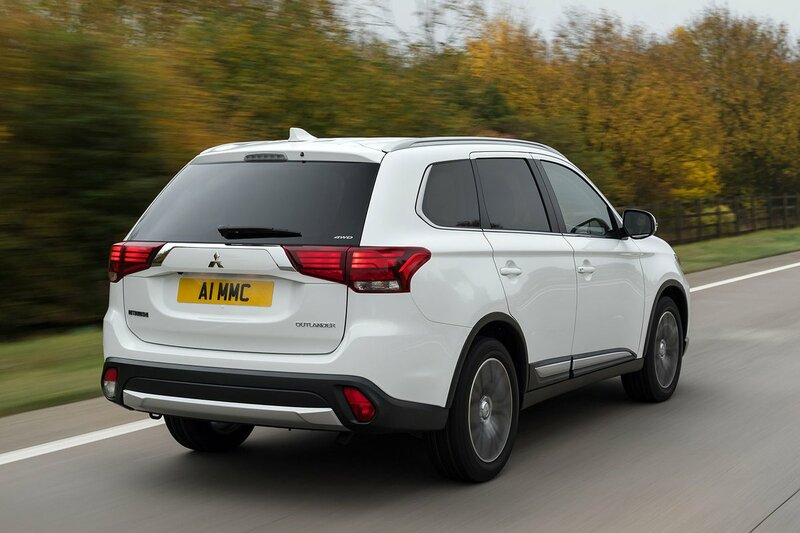 The engine quietens down on the motorway, but its place is taken by a fair amount of wind and road noise at higher speeds that can make the Outlander a little tiring on long journeys. The manual gearshift is notchy; the auto gearbox is smoother. The hybrid is very quiet when running in electric-only mode and is still pretty hushed when the petrol engine kicks in, but the revs can surge annoyingly and the auto 'box can be hesitant.